Do You Ever Get The Feeling That Your Musical Perspective Is Not Representative On This Forum? Discussion in 'Music Corner' started by fenderesq, Oct 9, 2018. As a nineteen year old, this forum is a sanctuary for me. For some reason, my musical taste line up exactly with most of the folks here, and they are usually the only people I can talk to about it. Jason Penick, Jarleboy and ostrichfarm like this. Often; more and more I get the feeling by what I read that this forum; which I rever, which has given me very much; no longer speaks to me. That the opinions and views and musical tastes of the vast majority; just don't jive [sic] with mine and I can't relate and doesn't relate to my musical esthetic. What music means / is to me. I'm not saying or implying my tastes are better; simply they; again for the most part and not exclusively are different; sometimes diametrically opposed to my own. I usually try to understand what I don't agree with and view differences as a positive; a vehicle for knowledge and enlightenment but sometimes the gap grows so expansive there seems to be no way to maneuver it. This is my experience also. Whenever I start a thread on an an artist or genre that interests me, it dies a quick death. The exceptions would the long, unwieldy threads dedicated to a certain genre, e.g., jazz, Brasilian, film music, and I won't participate in those long threads, because conversations and ideas get buried too quickly. This site is great for asking audio trouble-shooting questions, though. I like reading people's thoughts about music, especially rock music so I even enjoy threads about artists that I don't particularly care for. What I don't understand is the rampant negativity around here. Why can't people love some music without hating other music? If an artist is popular, be it because he sold millions of albums or because he has a small number of dedicated followers he must have done SOMETHING right. I'm interested in why people like a certain artist even if I don't "get" the artist myself. And putting down some of the greatest artists in rock history (Led Zeppelin, The Doors) and making fun of their fans ist just as silly as saying all new music is crap. All artists that are discussed here have created music that touched the hearts of their fans and the interesting thing for me is to understand and maybe to share a lttle bit of the enthusiasm that others feel for their favourite artists. The music world is so varied and so rich that everybody should be able to find something they are passionate about without wasting energy being upset that others are passionate about an artist. And it shouldn't matter one bit whether that passion is found in Mozart, The Beatles, Drake, or the California Raisins! I don't want to know how much you hate Beatles threads, Kiss threads, or any other threads that bring others obvious enjoyment. They aren't the threads that are hurting anything. I want to know what you are passionate about. Otherwise, why are we here? We could all just spend the day listing threads we personally dislike. What does that have to do with freely sharing opinions about music we actually love. As has long been mentioned by many, if there are threads that are so tiring that you actually can't stand them, just be a semi-reasonable adult and ignore them. Or additionally, create one you like! Jarleboy, gja586, Endymion and 2 others like this. Or additionally, create one [a thread] you like! And then watch it die, because it is not about the Beatles. rod, Vaughan and Jack o' the Shadows like this. No harm in that. I've done several that suffered such a fate. At least you are trying! I understand how it is to love an artist and album and realize it may not be as alluring to others as it is to you. But, as stated, that's just the law of demand and interest acting in honest fashion. It isn't the fault of the Beatles threads, or the posters, that they are the most popular ones (at large). As a teen I used to berate people for their bad taste. As I grow older (now 47) I just hope that people love their music with the same passion that I love mine. I'd rather you love something 'trivial' than be ambivalent about music in general. Jason Penick, Jarleboy, Llyrren and 3 others like this. My point is that, like the OP, I believe that the musical tastes on this site are much more in the mainstream, in the aggregate, than other sites on which I post. If I Can Dream_23 likes this. I'm tired of many of the bands that are being discussed here every day, and most others I never cared for in the first place. I'm not really an audiophile, and I've found that the extra material on deluxe editions normally gets played only once or twice. I don't take it personally if someone presents a negative opinion of a band I like, and I prefer critical discussion to rigid "appreciation." So no, the discussions on this board don't really interest me most of the time. But I keep coming back because once I actually find a discussion that interests me, it can be really informative. When I joined the forum, I was more interested in discussing rock of the sixties and seventies, and it was quite novel finding people who knew more about it than I did myself. At the moment, I'm mostly interested in discussion on books about music, musical culture, and Punk, New Wave, and Indie from the eighties onward, though. I often feel that the majority of music that is highly praised on here by folks my own age is stuff I grew out of after high school and college. It floors me that guys in their 50s and 60s still listen to Led Zeppelin and The Doors unironically. Not quite, but I don't care. It is expected that in a site where people of different ages and backgrounds come together. A lot of the music that I like is not very common in this forum but somehow I have discovered artists and good music here. It is true that there is a lot of emphasis here in discussions about classic rock, maybe too much about some bands like The Beatles, Rolling Stones, Grateful Dead, Led Zeppelin ... if I'm interested I pass by there and review something that seems "really interesting" or otherwise I ignore them completely. But I must say that there are people here very well informed and very interesting when talking about music and that is enough for me! mark winstanley and If I Can Dream_23 like this. Not me. I maintain that the highest quality rock (Zep, Who, Stones, Beatles, Hendrix, Bruce, Kinks, Petty, and dozens of lesser lights, et al) is the greatest music ever created. Why would anyone stop listening to that? You think pop songs represent the greatest music ever created? Apparently, lots of people here think that, and that's the issue. People spend $25,poo or more on their audio systems, and then want the best pressing of a ZZ Top album. rod and Jack o' the Shadows like this. Often; more and more I get the feeling by what I read that this forum; which I rever, which has given me very much; no longer speaks to me. That the opinions and views and musical tastes of the vast majority; just don't jive with mine and I can't relate and doesn't relate to my musical esthetic. What music means / is to me. I'm not saying or implying my tastes are better; simply they; again for the most part and not exclusively are different; sometimes diametrically opposed to my own. I usually try to understand what I don't agree with and view differences as a positive; a vehicle for knowledge and enlightenment but sometimes the gap grows so expansive there seems to be no way to maneuver it. What is it that you're into that you feel is underrepresented? What actually is your musical aesthetic? Possibly there are more like-minded people in here than you think? I get that, but loving something and proclaiming it the greatest music ever created are two different things. I understand what you're saying. But, what difference does it make to your enjoyment of music. This isn't high school. Is there some cool clique of people here that you want to interact with, but can't due to a difference in your musical taste? Probably 95% of the active threads in this forum don't interest me. I am much more likely to search for an artist and read an old thread. fenderesq and danielbravo like this. Mr Sam "...don't look so good no more"
I always get that feeling. It makes me feel so great. Agreed, but you don't get that kind of perspective here. I'm not knocking it; it is an observation. You can find multiple threads on any mainstream classic rock album, but if you are into other genres, e.g., jazz, Brasilian, film scores, space-age bachelor pad music, ambient, etc., you are stuck with very long, unwieldy threads that are not conducive to in-depth conversation. If you try to start a specific thread on something obscure, it goes nowhere. Believe me. I think everyone here has their own 'barometer of hip' band/artist that they toss out to gauge the caliber of the room. I'd be willing to bet that no one on this forum has taste so obscure that no one else has heard of the artists in question. Yes the majority of the discussion is about Classic Rock (Hell, I found this forum when looking for info on Beatles pressings), but there are also lengthy threads for Jazz, Death Metal and Classical as well as smaller threads about individual obscure bands and/or genres. In addition to musical style diversity, there are also differing views on formats, sound quality and the music business. We're a pretty well rounded group. Have you ever tried to take the discussion offline with someone who shares your views and is able to discuss the topic in a positive way? I'm sure there's someone here who would do it. I have to say, I don't understand why the posts of a few people have to cancel out those others that you are interested in. If there is a thread about '80s Genesis and some people show up to express how terrible they think it is, isn't it possible to just not reply to them? How do these particular posts disrupting whatever back-and-forth you have between others that don't share that opinion? Unless the point is that there aren't any people in here at all that like '80s Who and Genesis? (I'm not sure that's the case - I haven't been here all that long, but have participated in threads where this particular music was discussed positively). IMO this could actually be viewed as another facet of what the OP complained about: why should threads be insular and segregate people only towards points on which they agree? It's possible for 40 posts on a topic to only contain a handful that you agree with or want to reply to. but the presence of the others shouldn't make it impossible to carry on with the ones that interest you. As for the type of music discussed in here the most - while it would be nice to get more diversity from classic rock, I think it's normal for music that was the most popular to have the most people on a message board representing it. In other words, I would expect that there are more people interested in Pink Floyd than Dinosaur Jr., for example. danielbravo and Mister President like this. Most of the threads on here are about classic rock and I like some of it, usually more British band oriented than solo acts. However, as I got into my mid 30's I just grew out of it and wanted to hear different styles...usually jazz and funk, I rarely listen to a rock album from start to finish these days. I like the Beatles and the Stones but, for me anyway, it all fizzled out by the mid 70's and there was much better music around. I think Abby Road and the White album are fantastic albums but I ain't that bothered by Wings or the Who after 1973. I just find it a bit flat and hard to engage with but my British pride still comes out that these bands came from the U.K. There are very popular bands such as REM, U2 and Coldplay that I will never understand and I've really, really tried to like that music but I just don't. I've always wanted my music to be a little challenging on some level which I guess is where the jazz appreciation came from. I gave Bruce Springsteen another listen this week after a year and I still find it dull, but it's ok, plenty more to choose from. If people like REM then good for them, I'm sure they'd hate some of the stuff I listen to. I would consider myself with a wide musical taste...so far today I've listened to Ike Quebec, Peter Tosh, The Rutles, Talking Heads, Bjork, Blur, Helen Reddy (yep!) and some album compiling music from 80's video games. There are many people here who have wide tastes and I'm always interested in what people think of music generally, I don't have to like that said music. But the stuff I like, wow.... great place to learn and share. I find the arguments tedious sometimes - seems like you can't have a forum without some male chest-beating riding along. But sometimes it's quite funny. SO right. It takes some forbearance to keep from snapping back at some pretty nasty posts but, but we live and learn to ignore them. There are views for every taste and viewpoint here. That is what makes it so popular. It's not all Beatles. Really! And it's not all classic 60's rock. Sure (I'm a prejudiced old guy) that is the best era... The classical and Jazz threads may be the largest here. Sure there are a few Beatles related threads, and Dead, and Stones and Zep. But there are many many, like tons more of every perspective and taste; from Americana, to Jazz, to Classical, to outlaw country, to folk rock, to rockabilly, to bluegrass, to cosmic country to psych (new & old)...and a ton of obscure indie artists. And many style and regional favorites: Irish, Welsh, Latino, German, Scandinavian, classic British folk, your favorite guitarists, drummers, bassists...is that broad enough? No? If you can't find it you're not looking. I have posted in most every imaginable subject and started a ton of threads on every one from John Prine to Bill Evans to David Ackles to Gene Clark to Neil Young, to Wilco, to Glen Glover (new great Irish/Americana), to Gillian Welch to Abalone Dots to Bill Fay to Phil Ochs to Matt Andersen, to Tess Of The Circle, to Beth Orton to Badly Drawn Boy to Amada Sires & Jason Isbell to Josh Ritter to Tom Rush's newest LP to Bill Callahan to Brian Crane to Ludivico Ainudi to Miles Davis to Birdy to Luluc to Lynn Hanson to Sun Kil Moon to Sufjan Stevens to Mandolin Orange to Mark Pavey to Martha Tilston...whew...if you want to talk about it, new or classic 90's righton , I really do believe it's here. You really can choose or avoid the topics you wish to join in on, or not. Just because there are a lot of members interested in Beatles or Macca, and that they are sometime at the top of the most posted threads...so what. You don't have to go there. 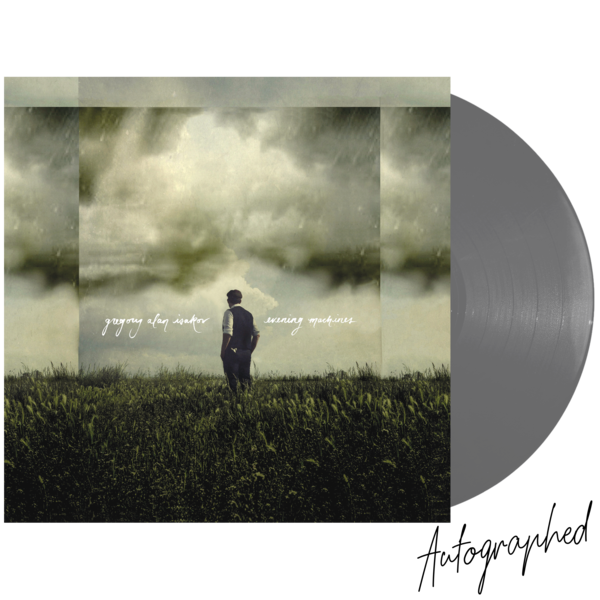 For me..this one is on pre-order and can't what for my autographed limited edition gray vinyl treasure (the preorder is sold out, but my is at Bull Moose today!)! 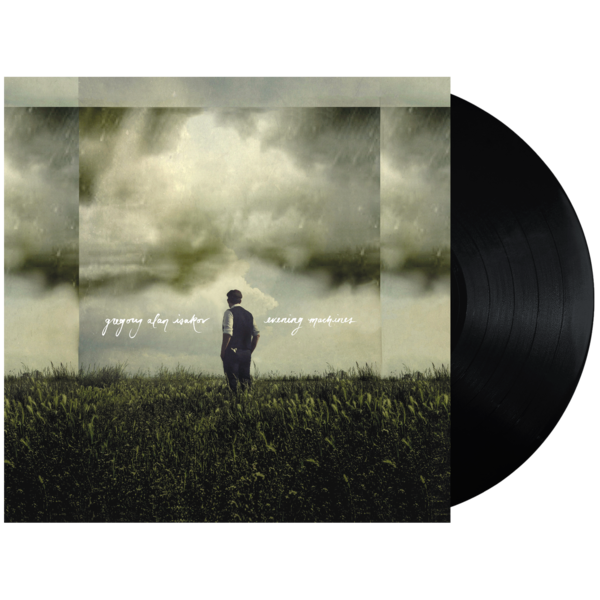 So my tastes run from Ritchie Valens (my 1959 vinyl is a treasure) to Gregory Alan Isakov 2018. Surely that is expansive enough. Oh and I have a few Robert Johnson LPs and some Enrico Caruso too. steviebee, If I Can Dream_23 and carlwm like this.